With a strong location just over 30 miles southeast of London, Maidstone offers close proximity to both the capital and England’s southeast coastline. With a population of around 115,000, the River Medway flows through the centre of Kent’s county town. At My Home Move Conveyancing we have been developing our knowledge and expertise of local property markets since 2002, enabling us to offer our clients an outstanding specialist, fixed fee conveyancing service. When considering the sale or purchase of property in Maidstone, you must instruct a lawyer to carry out the legal work on your behalf. 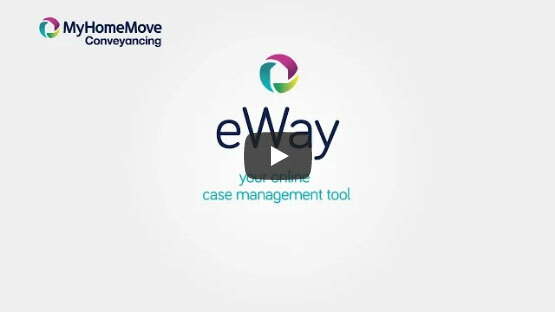 My Home Move Conveyancing offer our clients in the Maidstone area an award winning level of customer service, combined with our market-leading use of technology and detailed knowledge of the local market. Our fixed fee conveyancing service comes with no hidden extra costs to worry about, meaning you can budget for exactly how much you’re going to pay from the outset. If you don’t end up moving, you won’t have to pay us a thing in legal costs. We will assign you a dedicated conveyancer who will take care of all aspects of your case from start to finish, providing you with a consistent point of contact and regular progress updates. At My Home Move Conveyancing we can assist homebuyers across Maidstone, from clients looking at terraces in the centre or period homes in Mote Park, and roads still close to the action such as Tonbridge Road and Loose Road. The average house price in Kent is £221,312, while the overall average price of properties sold in Maidstone over the past 12 months was £252,462. Most sales involved terraces, which fetched an average of £208,991, while semi-detached properties went for £270,468. Flats and detached properties sold an almost identical number, going for an average of £144,974 and £411,793 respectively. Maidstone is the county town of Kent, known as the Garden of England. The town’s history dates back as far as the Neolithic Age, while the Romans and Normans also left their mark on the area. There are plenty of modern amenities and cultural spots to enjoy, including the Mall Maidstone, Fremlin Walk and Maidstone Museum and Art Gallery. Another real draw of the town is the proximity to London, which means Maidstone is popular for many as a commuter town. There are trains from Maidstone West that reach London St Pancras in just over 50 minutes, while it will take just over an hour to get to London Victoria from Maidstone East. The M20 motorway passes to the north of town, heading northwest towards the M25, M26 and the capital, and southeast towards Folkestone. Meanwhile, seaside resort Margate can be reached in under an hour by taking the A249, M2 and A229. There is a pleasing range of schools in the area for families with children to consider. Primary and junior options include Roseacre, East Farleigh, Sandling and Brunswick House, while notable secondary schools include Maidstone’s Boys and Girls Grammar Schools, Valley Park and Oakwood Park Grammar. Much of the town is parished and charge precepts. Figures are for the unparished area at the centre of town.